Tops never stop, uh, singing you more? 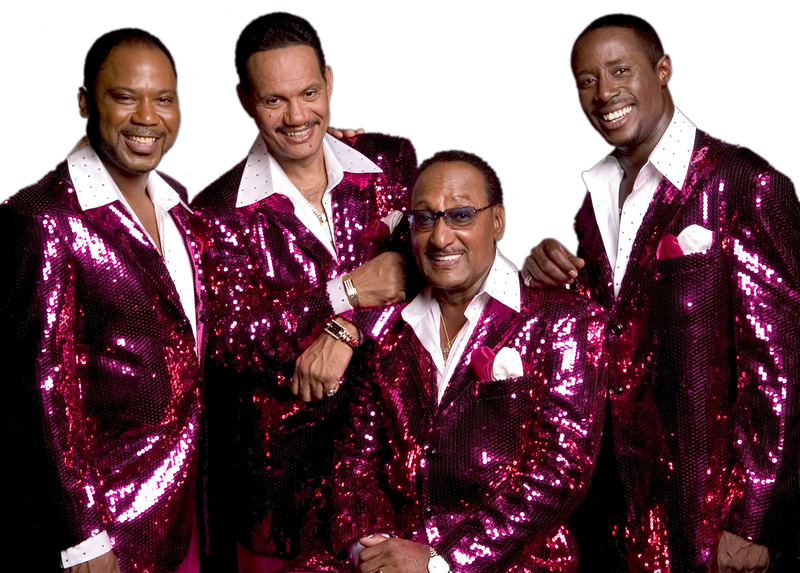 Not only did I have the pleasure of reviewing The Four Tops’ affirmation of a show at the Erie County Fair, I also had the pleasure of meeting the quartet before the gig. As I settled in to have my picture taken with the guys, I mentioned that “Bernadette” gives me chills (I know, I’m a drama mama), to which Lawrence Payton, Jr. responded, “Man, she gives me thrills.” It wasn’t surprising to learn that these dudes are smooth customers – with only one original member remaining (first tenor Duke Fakir), the other three Tops have to ooze personality and chops to live up to the legacy of the Motown legends they’re replacing. Which they did with conviction on this night, flying through one crossover R&B masterpiece after another, the melodies as irresistible as ever, the arrangements still exciting and imaginative, the lyrics simple, sweet and true. “Loving You Is Sweeter Than Ever” was a great choice for an opening song – a gorgeous example of the group at its mid-’60s best, but an underappreciated one for sure. Moving forward, though, the Tops knocked down one massive hit after another, with a four-piece band and eight-piece horn section providing the ballast for those achingly good four-part harmonies. “Bernadette” was a total winner, thanks to lead singer Theo Peoples belting every word like a man possessed and keyboardist/conductor George Roundtree leaning into some driving piano chords. And the TLC inherent in the performances of “Baby I Need Your Loving” and the closing “I Can’t Help Myself” made it seem like these guys are somehow not tired of singing them. As the latter’s wonderful bass line kicked in, and the Tops gave the first chorus to the crowd to sing, you got a sense of what it must have been like to experience music like this for the first time. No wonder teenagers were passing out in their seats back then.